Distributor of top quality thermoplastic industrial plumbing supplies, Kebechem serves many sectors including the chemical industry, semi-conductors, hospitals, laboratories, construction, the metallurgic sector as well as the agricultural field. We offer complete systems of piping, fittings, valves and many other plumbing items made of PVC, CPVC, PP and PVDF, either for water treatment, high purity applications, domestic and commercial water distribution systems, double-containment systems, cooling systems and ventilation, etc. 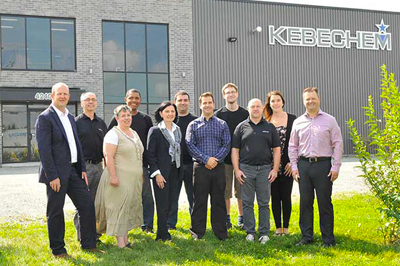 Kebechem growth is based on the quality of our service, a team combining over 25 years of experience and the dedication of all our employees. In addition, our distribution center, favorably located, allows fast delivery in order to meet the needs of our customers in eastern Canada. 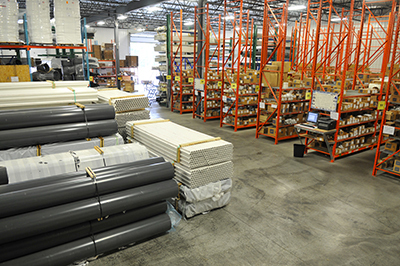 Kebechem offers products designed and produced by the leading manufacturers of thermoplastic piping systems in North America. Also, we can assist you in your projects and ensure a simple and effective service. Kebechem was founded in Sherbrooke in 2008. 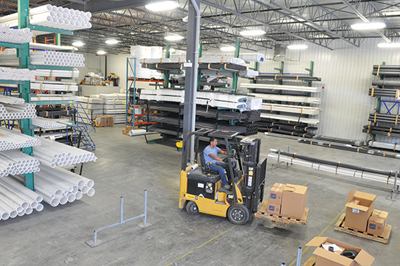 At that time, the business occupied a small warehouse of less than 6500 square feet. Since then, the company has grown at a constant pace. Kebechem now occupies its own warehouse of 20 000 square feet. This new space allows our team to always serve the clients better and increase their efficiency.